beyerdynamic aims to increase productivity by 50% on a 4-year plan. Cobots helped achieving this with a first application that also improves quality. 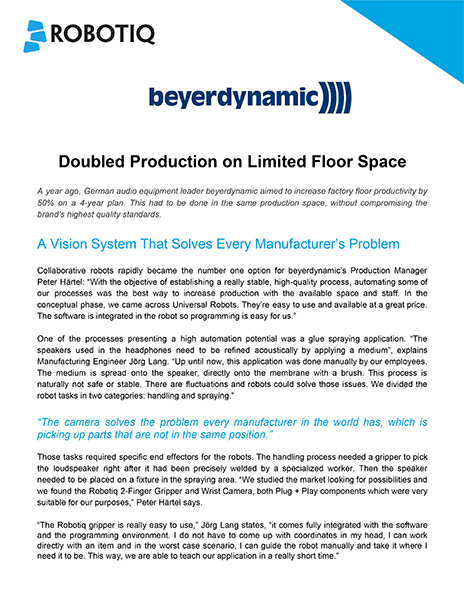 A year ago, German audio equipment leader beyerdynamic aimed to increase factory floor productivity by 50% on a 4-year plan. This had to be done in the same production space, without compromising the brand’s highest quality standards.